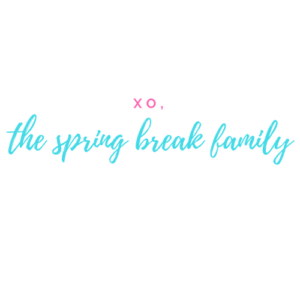 Horses, Knights, and Queens – oh my! This is a Medieval Times Dallas review. During our recent trip to Dallas, we were granted the opportunity to visit Medieval Times. If you’ve ever been to Dallas, you’ve undoubtedly seen the place from Interstate 35. After all, a real life castle in the middle of the city is hard to miss. 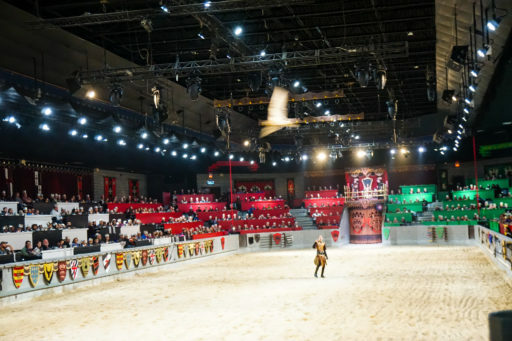 Spoiler alert for our Medieval Times Dallas review: IT WAS AWESOME! From the moment you enter the line for admission, you’ll journey back in time to the medieval days where kings [and queens!] reigned supreme and jousting was a royal pastime. Staff stay in theme not only with their costumes but with their vernacular and only medieval lingo is used within the castle [it took about 3-4 times before I stopped giggling every time they called my “milady”]. Every visitor is given a crown that corresponds with their seating area and the knight they will root for. You can get even further in theme with princess hats, knight helmets, medieval apparel, and more all available in their souvenir booths. The 2 hour long show is filled with horse tricks, jousting rounds [complete with lances longer than my entire body], and falconry with some scripting in between. I won’t tell you the plot of the show –that’s part of the fun – but all I’ll say is “All hail, Queen Isabella! #GIRLPOWER” Medieval Times Dallas is like a catered Broadway show but with horses and birds. I highly recommend the show to anyone visiting Dallas but it’s also great for birthdays! Pay for one of their celebration packages and they’ll shout out the honoree during the show along with other special birthday treats. There are stairs in the arena but accessible seating is available at the top of the sections. Strollers are also allowed inside but are kept in the stroller parking lot in each section. The seats are general stadium seats — the kind that fold when you stand. Older kids will be fine but if you have one of the itty bitties with you [like my 6 year old] then ask your server for a booster seat. It will hold the seat down and allow them to see over the table without straining. 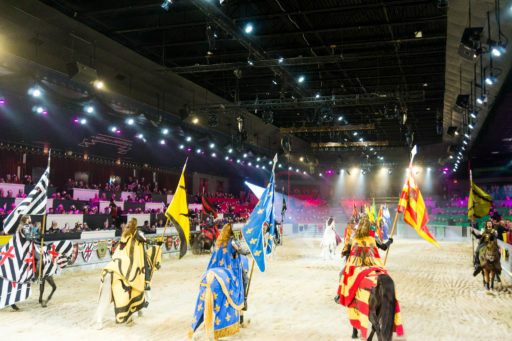 General admission for Medieval Times Dallas can be pricey but remember it includes a meal! Adults are $62.95 and children under 12 are $36.95. Kids under the age of 3 are admitted free of charge [YAY!] if they share a seat and a meal with an adult. 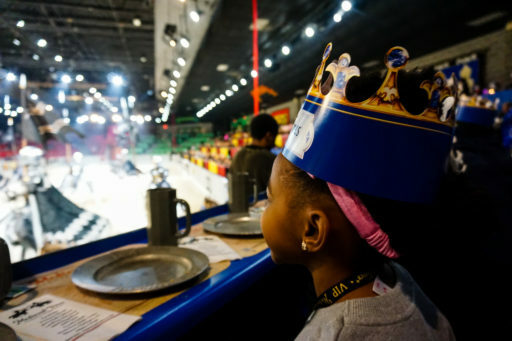 Save some moolah by using Medieval Times Dallas coupon WINTER19 [until 3/13/19] which drops the adult admission down to $43.95 and kids to $30.95 ! HOT OFF THE PRESSES – We’ve got an even better deal! 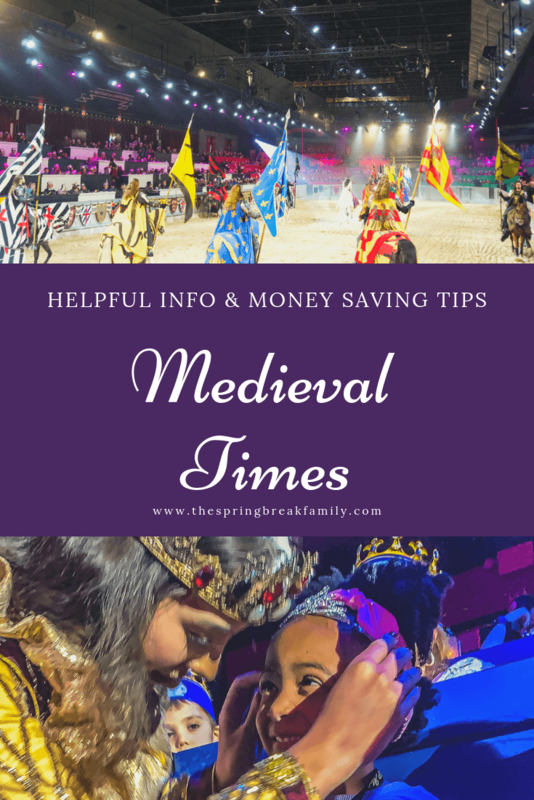 Use Medieval Times Dallas coupon SBFAM383 [until 5/31/19] to lower the adult ticket to $38.95 and the kid ticket to $30.95. Military discounts are also available and I’ve seen a deal pop up a time or two on Groupon. They also have seasonal promotions so be on the lookout for those! Royalty Upgrade [$12]: priority castle access through a VIP entrance, priority seating [you are let into the arena before general seating and have an assigned seat close to the front], VIP lanyard, and a cheering banner. Celebration Upgrade [$18]: priority castle access through a VIP entrance, priority seating [you are let into the arena before general seating and have an assigned seat close to the front], VIP lanyard, a cheering banner, a slice of cake, a group photo, and a shout out during the show. Queen’s Royalty Package [$22]: priority castle access through a VIP entrance, priority seating [you are let into the arena before general seating and will be seated in the 1st or 2nd row in the center], VIP lanyard, a cheering banner, and a framed entrance group photo. We opted for the royalty upgrade and it was worth every penny! The girls still have their celebration banners! 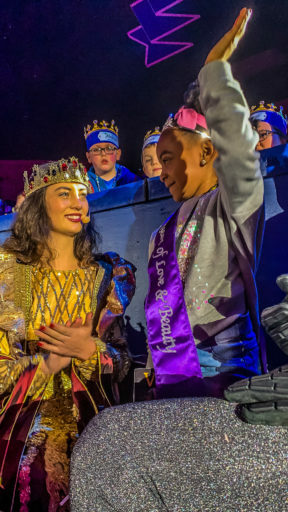 Admission to Medieval Times Dallas includes a meal of tomato soup, chicken, potatoes, corn on the cob, garlic bread, dessert, and a drink [lemonade, Pepsi, unsweetened tea, or water]. No utensils here, my friends. Remember, we’re in the medieval times within the Medieval Times so you’ll eat like they ate back in the day. [No worries, they provide a hot towel to wipe your hands after your meal and the kids seriously dig it!] 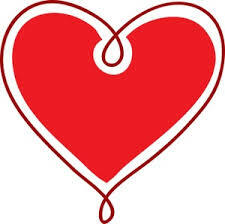 Vegetarian and gluten free meals are available – just inquire with your server. The bar is open throughout the show and you’re allowed to exit the arena to grab a brew. But if you don’t want to miss a minute of the action [who would?] they will come around to your table once during the show to ask if you want any libations. Don’t be like us and get there 20 minutes before show time. Get there 75 minutes prior to the show and enjoy everything they have to offer like the Torture Chamber and the souvenir stands. You can even go meet the horses or see the falcon up close. Also, if you don’t get a VIP package, seating is first come-first served and you don’t want to be last. The inside of the arena smells like horses because well… there are horses. There’s no way to avoid the smell but it is mild. Medieval Times has a warning for those with respiratory conditions, allergies, or asthma to attend at their own risk so I’ll pass that warning along here. 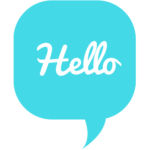 For what it is worth, I have horrible allergies [seriously – I’ve had friends tell me I should live in a bubble] and I had no problems during the show. The little one [who, unfortunately, inherited my health issues] was also fine. That said, dose up on the Zrytec, bring some nasal spray if you need it, and allergy eye drops just in case. There is a pretty neat torture chamber museum inside Medieval Times Dallas [$2 extra] with actual torture devices on display. I’ve heard the exhibit descriptions that go along with these exhibits is a bit gory so I would only recommend it for teens and older. OK, it is a business and there are subtle moments of up-sell. If it fits the budget, then they are all worthy splurges! 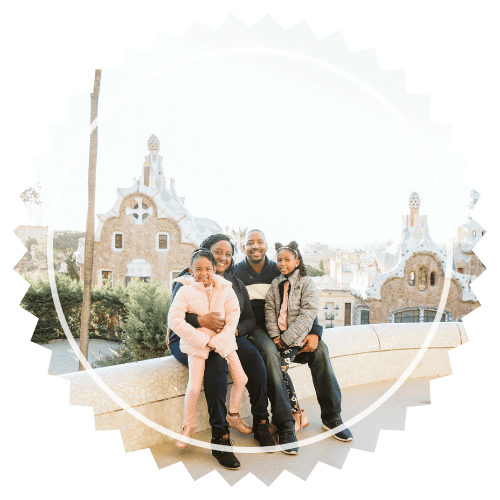 We purchased our group family picture for $21.65 [we never purchase these but it was so cute]. We didn’t have any cash on us so they took our debit card out of eyesight to charge us for the picture. Same for when we paid for gratuity. It was fine but I personally don’t like my card being out of my line of sight especially in an arena of that size. If you’re similar to me, I recommend bring cash to cover the extras. Throughout the show, our beloved knights would kiss carnations and throw them to ladies in the crowd. It’s a nice touch for audience participation and my littlest one went absolutely nuts for it. It helped that all of us were having the time of our lives but every time they approached the audience with these little flowers, Bug went crazy waving her celebration banner and cheering at the top of her lungs. Well it paid off because she was crowned Queen of Love and Beauty at the end of the show. 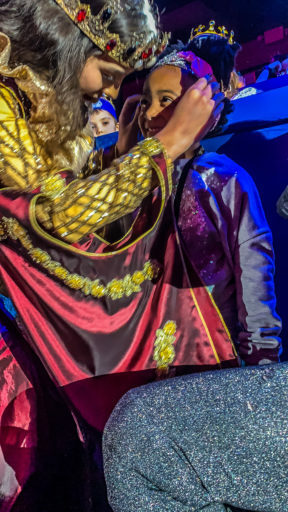 The blue knight himself asked her, Queen Isabella crowned and sashed her, and both announced her name to the crowd while she stood there waving regally to the audience. Dude, it made her [k]night [knight….night.. get it? Haha]. Moral of the story: want a flower or that cherished sash? Cheer like your life depends on it! The souvenirs sold at Medieval Times were really nice but the entire time I was kicking myself for not purchasing our gear ahead of time. Purchasing from a site like Amazon gives more options and can usually save you quite a bit of change. BONUS TIP: Use the restroom before the end of the show. The line for women is ridiculously long when the show ends. Medieval Times kindly provided our tickets but the pleasure [and the opinions of the show] was all mine. Have you been to Medieval Times? If so, leave a comment below!